Tiger Jet Suicide! Or How Not To Start Your Weekend! | Yorktown Aviator's Blog - "Call The Ball!" Tiger Jet Suicide! Or How Not To Start Your Weekend! On 21 September 1956 Grumman test pilot Tom Attridge became the first jet pilot to manage to shoot his own aircraft down. He was flying the Grumman F11F-1 Tiger . A former Navy fighter pilot, Attridge had flown for the Navy in World War II as a Hellcat pilot with Air Group 21 (Fighting Squadron 21 – VF-21), aboard the USS Belleau Wood (CVL-24). A Friday afternoon hop flying one of the new Navy jets and test firing its guns over the water would be a great way to start the weekend. Unfortunately, his luck didn’t hold on this Friday. On the second run of test-firing the Tiger’s four 20mm cannon (Mach 1.0 airspeed and 20,000 feet altitude) Attridge entered a shallow dive, and accelerated in afterburner, while squeezing the trigger (13,000 feet altitude) for a four-second burst. After firing, Attridge’s Tiger continued its descent and at 7,000 feet altitude his armor-glass windshield was struck and bucked inwards, but did not shatter. Initially, Attridge thought he had hit a bird. Attridge pulled the throttle back to slow down and prevent a cave-in of the windshield. He changed course to head back to Grumman’s Calverton field on Long Island at 230 mph. He radioed that he could see a gash in the outboard side of the right engine’s intake lip along with the windshield damage, but what really bothered Attridge…was his Tiger jets only engine, a Wright J65 turbojet with afterburner, was only operating at 78 percent power. Two miles from Calverton field at 1,200 feet altitude with flaps and wheels down, he realized the Tiger was too low to make the runway. So Attridge pushed the throttle forward to hopefully gain some altitude, but “the engine sounded like a Hoover vacuum cleaner picking up gravel from a rug.” The engine ate itself and the Tiger lost power completely. Attridge raised the gear and settled into trees less than a mile short of the runway. A fire broke out, but he was able to leave the downed Tiger with a broken leg and back injuries. The Grumman rescue helicopter picked him up. 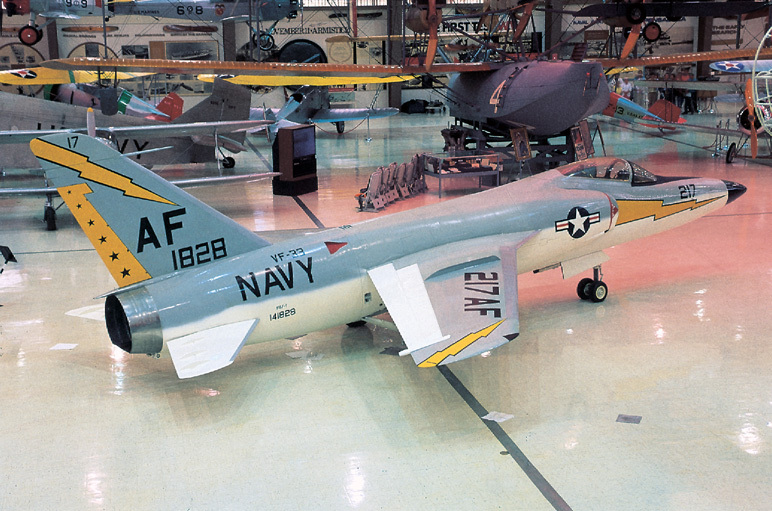 Examination of the F11F Tiger showed three hits—the windshield, the right engine intake, and the nose cone. The engine’s inlet guide vanes were struck, and a battered 20mm projectile was found in the first compressor stage of the jet engine. Luckily, Attridge would recover and get back on flight status at Grumman. On 20 June 1973, Grumman test pilot Pete Purvis was flying out of Point Mugu, California. His F-14 Tomcat was hit by its own AIM‑7E “Sparrow” missile. The missile had pitched up at launch and punctured the Tomcat’s fuel tank. 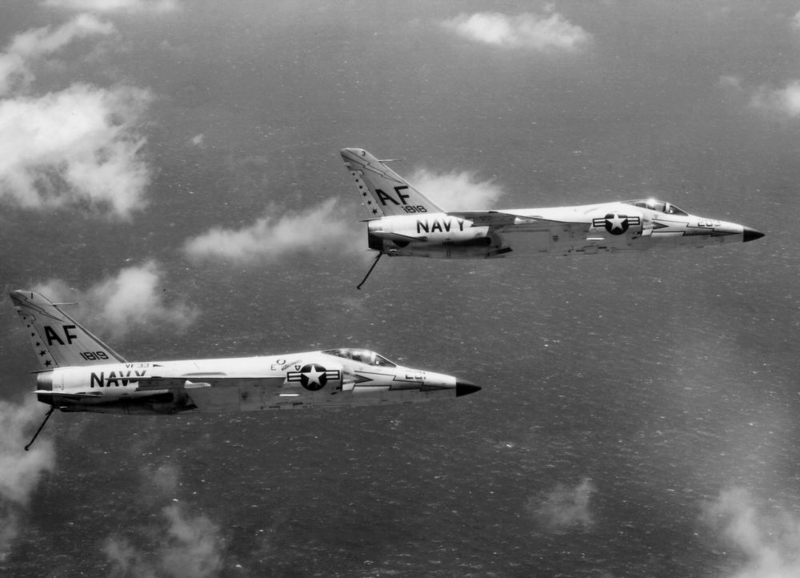 After losing control of the F-14, both Purvis and his systems officer, William Sherman, ejected successfully and survived…I hope that wasn’t the start of their weekend!